"To be successful you have to have a passion." In 1985, Dr. Robert Ballard and his colleagues designed a submarine that would allow them to descend to the depths of 3800 meters to find the most famous wreck of the twentieth century -- the bow of the legendary R.M.S. Titanic. Discovering the sunken ship brought Ballard a lot of attention, especially from schoolkids who asked to accompany him on his expeditions. 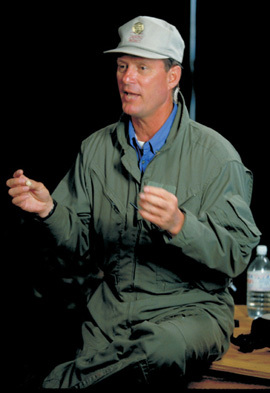 Dr. Robert Ballard is more than an explorer; he is the visionary behind the JASON Project, a Web-based science course used by teachers around the country for kids in grades four through nine. There is also a program available to homeschoolers, as well as opportunities for kids to participate in actual explorations as "Argonauts." Ballard has also worked as a Senior Scientist in the Department of Applied Physics and Engineering at the Woods Hole Oceanographic Institution, Woods Hole, Massachusetts, and as the President of the Institute for Exploration at the Mystic Aquarium in Connecticut. He has published many books, including Explorations, an autobiography, Graveyards of the Pacific: From Pearl Harbor to Bikini Island, The Eternal Darkness, and The Discovery of the Titanic. Thank you so much for taking your time to talk to us and answering our questions. We really appreciate it. 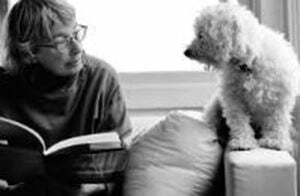 You taught us a lot of new things. We learned that you should study the books, because if you don't, the doors in your life are going to close and will not open back up. 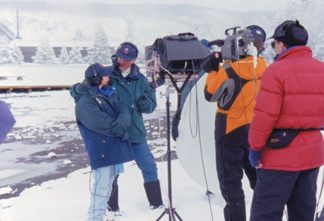 Dr. Ballard, student Argonauts and crew members on the JASON XII expedition broadcast from the floor of Kilauea Caldera in Hawaii Volcanoes National Park. 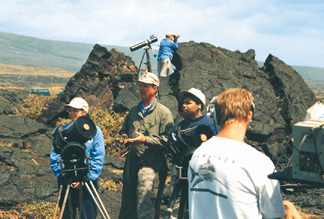 Ballard has devoted much of his labor to the exploration of ancient wrecks. He believes that "there is more history in the deep sea than in all the museums of the world combined. People have this concept that the ocean is remote. But 12,000 feet, the average depth of the ocean, is only the distance from the Oval Office to the Pentagon... It's two different worlds, but it's not far." By using maps and deductive reasoning, he was able to locate two Phoenician ships that were nearly three thousand years old. Using a map, he "took a ruler and drew a straight line between Ashkelon and Alexandria," which is the route that these ships would have taken. Based on historical data collected at Harvard University, Ballard estimates that there are a million ships of antiquity in the deeps. I think it was so nice of you to take time to talk to us. Like you said, I think if I had enough money, I would buy all those things and put them back down in the Titanic. I think it is so cool that you are making two more robots. I take the one thing you said to heart..."Live your own dreams..."
An interactive Web-class on the geysers and geology of Yellowstone National Park during JASON VII, Journey from the Center of the Earth. Students from around the country participated. In February 2002, Ballard travelled to the Weddell Sea off Antarctica to search for Sir Ernest Henry Shackleton's ship, the Endurance, which sank in 1915. He and his crew had to break through a 21-foot ice canopy, then descend 9,000 feet into the water. In a recent interview with the Los Angeles Times, Dr. Ballard stated that future projects he dreams about include finding Kublai Khan's invasion fleet, which was sunk northwest of Japan in a typhoon in 1281. He would also like to visit the Andes Mountains in Peru to search for the treasure that the Incas are supposed to have hidden beneath a lake to protect it from invading Spaniards. Thank you very much for letting us come and meet you in person. We have been doing JASON all year and never thought that we would meet you. I think you are a great role model for kids. I really like JASON and I think it would be neat to be an Argonaut. I really like how you work on JASON. I liked when you answered questions....you are a good person to look up to and you inspire us all! 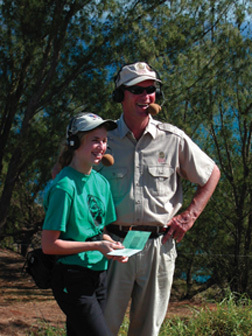 Dr. Ballard and a student Argonaut at Kilauea Point National Wildlife Refuge on the Island of Kauai, studying the native birds and vegetation. Robert Ballard's childhood role model was Captain Nemo, the protagonist of Jules Verne's novel 20,000 Leagues Under the Sea. 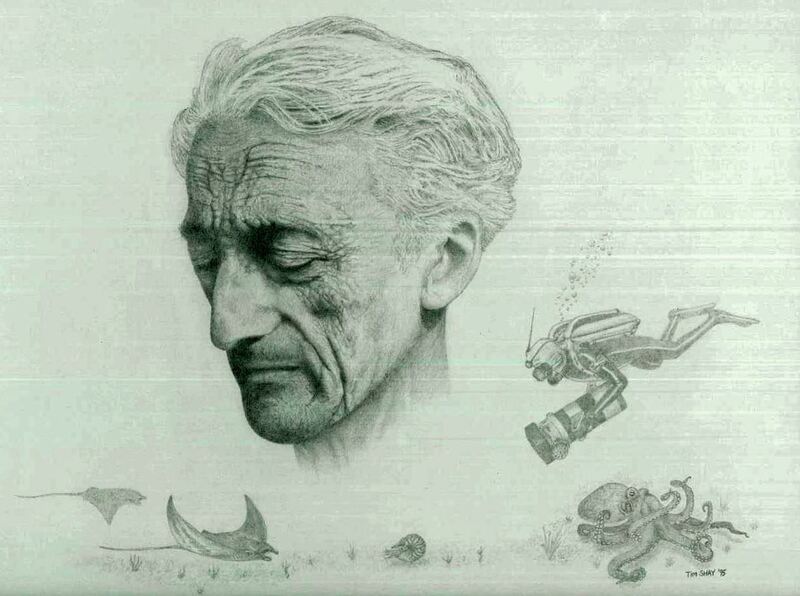 For Ballard, Captain Nemo was not only an oceanographer, he was a leader, a risk taker and a visionary. "When I was about ten years old, my favorite book was, 20,000 Leagues Under The Sea. My hero as a little boy was Captain Nemo. I wanted to be an undersea explorer. Fortunately, when I told my parents, they didn't laugh at me. They actually encouraged me to live my dream. My parents told me, 'maybe you need to become an oceanographer if you want to become a Captain Nemo.' So I became an oceanographer. Then my parents said, 'Maybe you need to become a naval officer,' and I did. 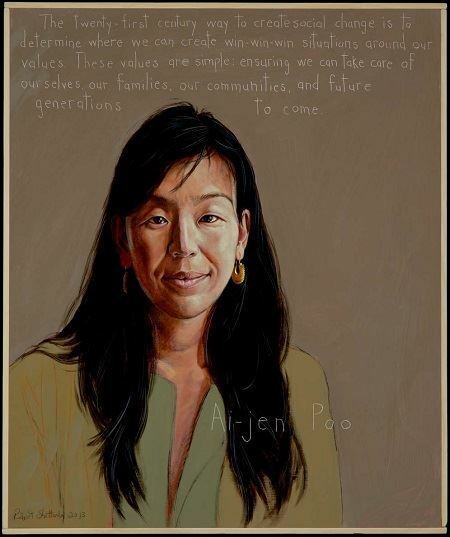 I used this as my guiding principle; it allowed me to go on and live my dream. I believe all of us have dreams; all of us should try to live our dreams." Ballard's other heroes include several famous explorers: Captain James Cook, Charles Darwin, and Lewis and Clark. 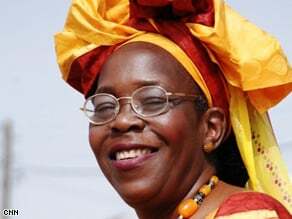 As he told the Los Angeles Times, "I've spent most of my life on pieces of the Earth where I was the first human being to be there, and I want to share that." 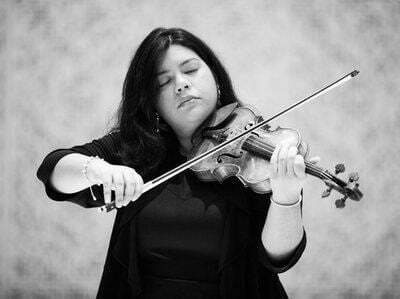 Maria Victoria Ferrera: - was an Argonaut on Jason XV's journey through the Panamanian rainforest. Academy of Achievement - Read an interview with Dr. Ballard. The Academy of Achievement brings students face-to-face with the extraordinary leaders, thinkers and pioneers who have shaped our world. 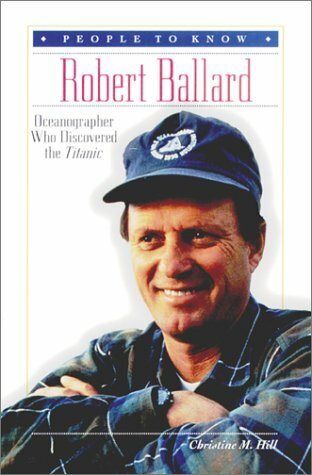 Robert Ballard contributed his hero story to MY HERO: Extraordinary People on the Heroes Who Inspire Them. Your purchase of this book helps to support this not for profit educational web project. The more we explore and discover, the smaller our world becomes. Science exploration and technology are gateways to other parts of our world, which help break down cultural boundaries. During scientific expeditions for the JASON Project, we create international classrooms. While students interact and learn about the expedition, they also learn about each other's differences and backgrounds. Now, more than ever, science and math have been important tools in helping us better understand one another. As we face the future, scientific research and discovery are helping to bridge the gaps between people, and education is our path to peace. The students of today are the key to the discoveries of tomorrow. They need greater access to tools of modern technology, such as the Internet, which can be their window to the world. As we enter the 21st century, educators need to encourage students to follow their dreams and uncover the places we have yet to explore. My dream for the future is that students everywhere will have access to these tools, so they can achieve their goals and make the world a better place to live in.